Here comes our Bride stress ballll dressed in white. You can put a custom imprint on a bride stress reliever and hand her out at bridal shows, event planning seminars and special events. 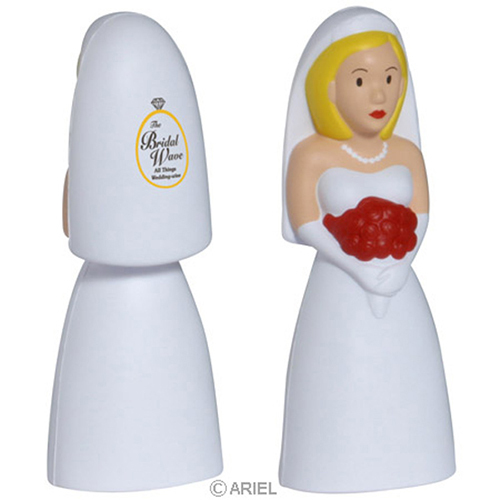 These bride stress balls are great promotions that are fun to squeeze! Item Size : 1-5/8" x 4-3/4" x 1-1/4"